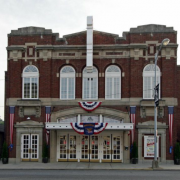 The Arcadia Theater Guild is hosting a bus trip to the Lady Luck Casino & Hotel Nemacolin, Farmington, PA! Come gamble with us on Thursday, April 6, 2017. 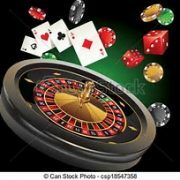 Cost for the bus trip – $30.00 per person, $25.00 in free play. Call 814-255-9797 or 814-241-3736 for more information or to reserve your seat. Benefits the Arcadia Theater Guild. The overall verdict – What a great show. The Dream Concert of the 60’s did not disappoint. The band vocals were outstanding – it took you back in time like you were listening to the actual Beach Boys, Frankie Valli and the Four Seasons and the Monkeys! Thanks to everyone who made our first show of the season a great success – YOU. All of you who purchased tickets and made our 2017 kickoff show a SOLD OUT show despite all of the wonderful activities that were going on in the area over the weekend! Thanks again to our show sponsors – Penn Metal Fabricators, Gray Medical Associates and Kaith’s Heating and Air Conditioning. The weather held out-no snow, the mood was great, and the people were into the music. What more can you ask for? The overall concensus from people we talked to – GET THESE GUYS BACK AGAIN! http://arcadiawindber.com/wp-content/uploads/2017/02/flower-free-images-at-clker-com-vector-clip-art-online-royalty-vlQQWf-clipart.png 542 600 Windber Arcadia Windber Arcadia2017-02-26 15:19:512017-02-26 15:26:57OH WHAT A NIGHT! 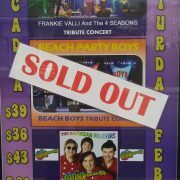 The Arcadia Theater is pleased to announce that our Saturday, February 25, 2017 “Dream Concert of the 60’s’ show is SOLD OUT! Thank You to all of you who purchased tickets. We look forward to seeing you on Saturday night! For those who missed the opportunity, mark your calendars for March 25, 2017 – “BeatleMania Now”. Get your tickets for our next show early so you don’t miss out. Tickets for BeatleMania can be purchased online or at the box office, 814-467-9070, 10 am to 4pm, Monday through Friday. The Arcadia Theater proudly presents the Whalley Charitable Trust “Coal”-ala Bear Series for Children. Once again, The Missoula Children’s Theater is coming to the Arcadia with a chance for you to be a part of the show! Click on the link below for more information. Registration begins January 16, 2017, with auditions held at 10:00 am on Monday, July 10, 2017 at the Arcadia Theater. Immediately following auditions, the cast will be announced. Cost: A non-refundable participation fee of $55.00 will be charged upon registration. 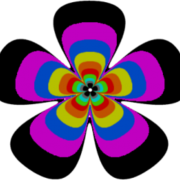 http://arcadiawindber.com/wp-content/uploads/2017/01/1973383.png 104 282 Windber Arcadia Windber Arcadia2017-01-16 16:08:422017-01-16 17:29:02BECOME AN ACTOR/ACTRESS! At the Arcadia Theater, we are truly blessed with an outstanding and dedicated group who volunteer their time to handle the box office operations. To celebrate the holiday season, the box office volunteers and Arcadia staff members had a wonderful dinner at Rizzos of Windber on Thursday, December 8th. Scrumptious food, great company and lots of laughs all around! 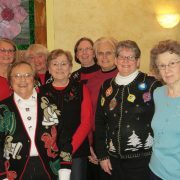 Pictured left to right -Theresa S., Barb B., Evelyn P., Sandy C., Barb K., Gail D., Diane M., and Anne V.
http://arcadiawindber.com/wp-content/uploads/2016/12/IMG_4529.jpg 3000 4000 Windber Arcadia Windber Arcadia2016-12-09 17:03:522016-12-27 16:24:44Holiday Celebration for Our Box Office Volunteers! Thanks for stopping by the new Arcadia Theater website. Please keep checking back as we’re in the process of updating the site with new content, event information and much more. Please feel free to share our site with your family & friends. Thanks!